Scans of the fossilised skeleton of Megachirella revealed the chameleon-sized reptile was an ancestor of today's lizards and snakes, which belong to a group called squamates, an international team wrote in the science journal Nature. 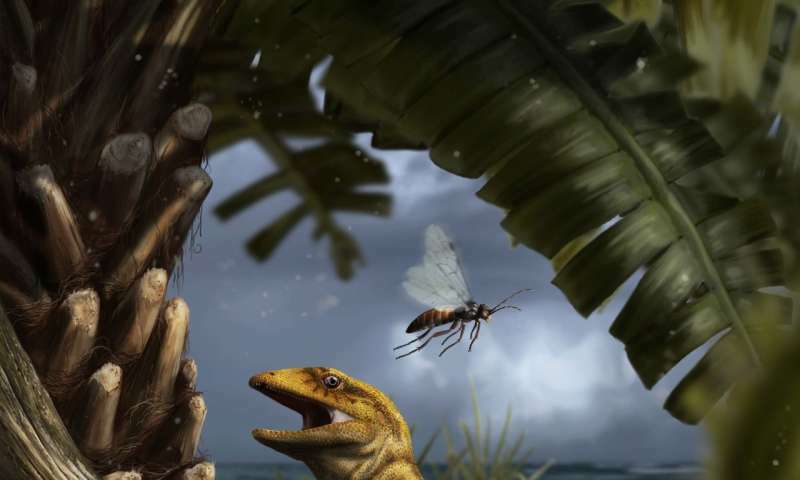 This finding dragged the group back in time by 75 million years, and means that "lizards inhabited the planet since at least 240 million years ago," study co-author Tiago Simoes of the University of Alberta in Canada told AFP. That, in turn, suggested that squamates had already split from other ancient reptiles before the Permian/Triassic mass extinction some 252 million years ago, and survived it. Up to 95 percent of marine- and 75 percent of terrestrial life on Earth was lost. "When I first saw the fossil I realised it had important features that could link it to the early evolution of lizards," he said. So he hooked up with colleagues to perform a more detailed analysis of the tiny skeleton, which included CT scanning. The scans revealed previously unseen physical features, including the underside of the fossil, embedded in rock. The team found a tiny bone in Megachirella's lower jaw that is unique to the squamate family. "I spent nearly 400 days visiting over 50 museums and university collections across 17 countries to collect data on fossil and living species of reptiles to understand the early evolution of reptiles and lizards," Simoes explained. "I used this dataset... to conduct the phylogenetic analysis presented in this study." Phylogenetics is the study of how different species relate to one another in the tree of life. Simoes' colleague and study co-author Michael Caldwell likened the Megachirella fossil to "a virtual Rosetta Stone in terms of the information it gives us on the evolution of snakes and lizards." The stone, dug up in Egypt, allowed scientists to decipher hieroglyphics. There are 10,000 modern squamate species alive today, Caldwell added, "yet we've really had no real understanding of where they came from in terms of their evolutionary history". For Simoes, the study is about more than the history of lizards. "We currently suffer a crisis in the world of lack of confidence in scientific evidence and facts. Denial of scientific information has been increasing and replaced by alternative facts not backed up by science. "This study, along with others that try to understand fundamental aspects of evolution... will hopefully draw back people's curiosity and attention to the natural world and how it has been changing for hundreds of millions of years." Megachirella or Maxine Waters for short 39 years in Congress and 6 bills the lowest in History. She gives lazy no good a bad name. I am so shamed I ever voted democrat. I have given you a five for having the balls to admit your mistake. Her mansion domicile is so far removed from the poverty of her constituents, which is a strong reminder of the phrase: "Out of sight, out of mind". Megachirella's face is a vast improvement over good ol' Maxine, who seems to believe herself to be a babe. Editors, sensationalist titles should be avoided... they are confusing and out of place in a scientific context. 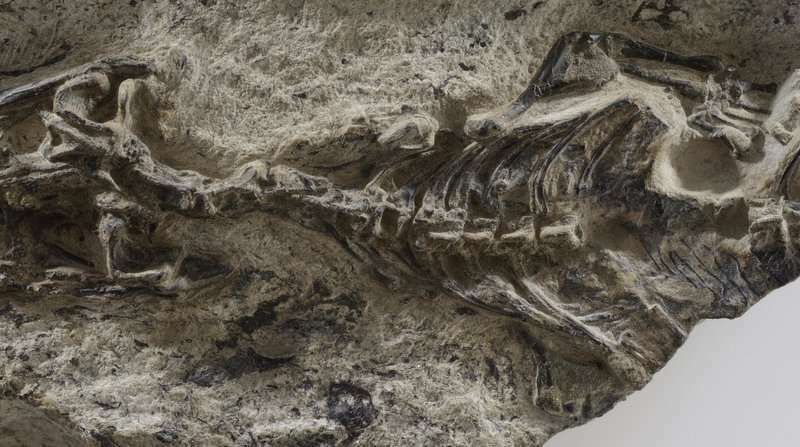 Article: "the oldest known lizard"
Title: "The mother of all lizards"